So, how does it work for a night owl to have cake piping hot on someone’s doorstep in the morning?! Well, my friends, it’s an overnight coffee cake. You can make it and bake it immediately or you can make it and shove it in the fridge overnight. That way on the morning of a birthday or special event or holiday you can sleep a bit longer and just pop it in the oven for a special breakfast treat! YUM! 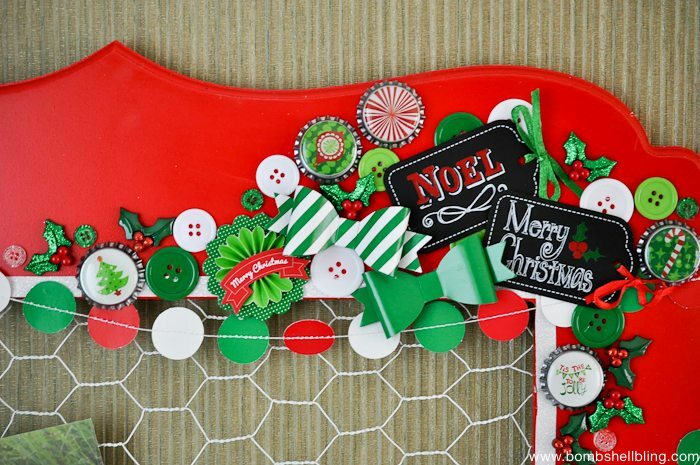 It is perfect for serving on a busy Christmas morning! It is best served piping hot with milk. Mmmm……. 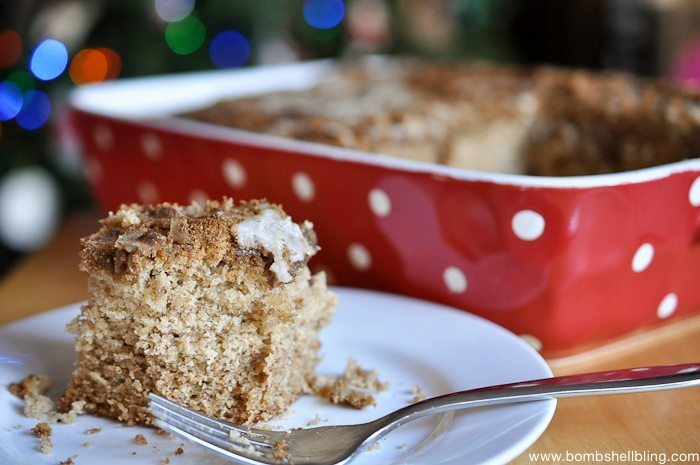 Now, without further ado, here is my “secret” coffee cake recipe. ENJOY! 3. Add buttermilk and mix. 4. Add dry ingredients and mix. 5. Grease a 9×13 pan and pour in batter (it will be thick). 6. 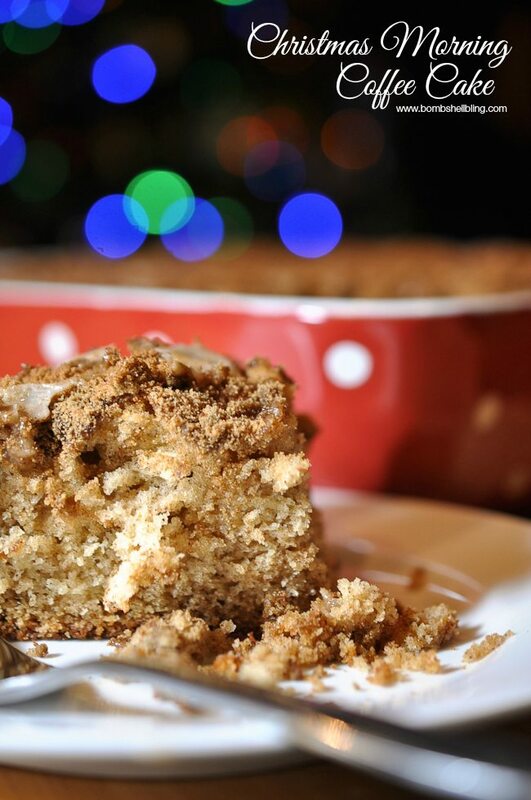 Mix together topping and spread evenly over coffee cake. 8. Bake for 25 – 30 minutes at 350 degrees until a toothpick comes out clean. 9. 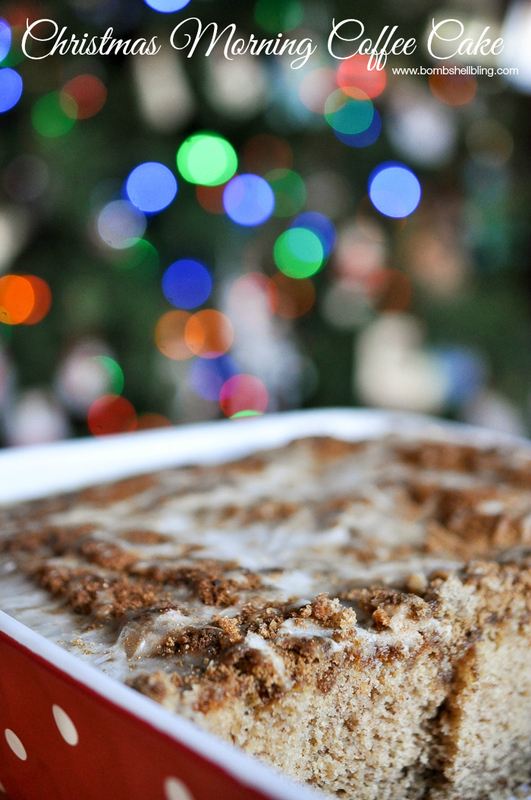 Make the glaze and pour it over the hot coffee cake. This looks so good, Sarah! I love make ahead recipes, especially for something like Christmas morning. Do you think I could use butter instead of shortening? I never have shortening on hand. Thanks!